You may not have heard about it, but last week, six Broadway shows saw their weekly gross sales drop by more than $750,000 over the previous week. You would think that would be news. But it wasn’t widely reported or carried on syndicated news services, because it was after the week between Christmas and the new year, in which shows posted huge revenues – some even played nine performances in a seven-day period, instead of the standard eight, to capitalise on the tourist influx. It’s likely you heard about that last week of 2017, because the cumulative gross revenue for all Broadway shows set a new record. It was also the final week of a calendar year during which the annual gross set a new record as well. There’s no need to be worried about these precipitous drops. One of the shows in the pack still grossed $1.9 million, so it’ll be just fine. It’s all a matter of adjusting to the new scale of Broadway’s potential earnings. If you study the weekly grosses, as I have done habitually for decades, recalibrating for the new metrics takes a bit of doing. Indeed, alongside the figures posted each week, we’re provided with a handy guide called ‘gross potential’, which is ostensibly the maximum amount of money a show can earn in a given week. But, thanks to variable pricing and VIP seats, the potential gross is no longer a meaningful figure to measure against, precisely because it isn’t recalculated week by week. Shows gross hundreds of thousands of dollars over their potential on a regular basis. As remarkably transparent as the reporting of the grosses may be, parts of the practice are vestigial, and presumably confounding to anyone not steeped in the current pricing practices. 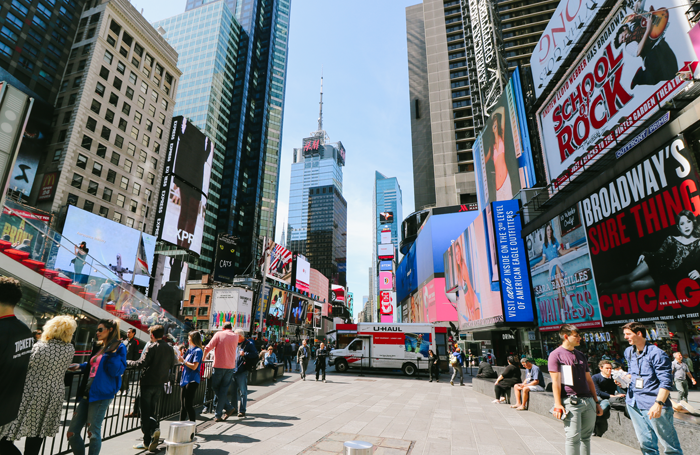 In any event, Broadway gets two bites at the record-setting apple a year, because it tallies accounts both by calendar year and by season, the latter running roughly from the first week in May. Because prices keep rising and the total number of physical seats in the theatres remains constant, the new records are typically achieved only through rising prices. There are, of course, variances in the number of playing weeks and the size of the theatres that are occupied. Each time new thresholds are passed, I feel compelled to be one of the relatively few voices repeatedly pointing out that there may be a long-term cost to these bonanzas, even if, show by show, they often turn out to be long-term themselves. I worry about the long-term impact of rising prices on Broadway theatregoing, but am concerned that it advances the idea that all theatre is wildly expensive and inaccessible, especially as stories about new sales records circulate through old and new media. I find myself holding almost opposing views simultaneously: happy for the success of artists whose work is reaching the widest possible audiences in theatre, and who make good livings as a result, while distressed about the increasing economic bifurcation of the audiences into those that can afford Broadway and those that simply can’t. I applaud efforts such as ticket lotteries , though the odds aren’t good and they don’t allow people to plan their theatregoing in advance. I salute programmes that bring students to Broadway through low and even no-cost tickets thanks to corporate underwriting, though I wonder how many of them will be able to afford to participate in that experience once they are adults. I imagine a Broadway-sized theatre that manages to perform high-calibre work free of charge all year round, in the same way that the Public Theater manages to offer Shakespeare in the park for a couple of months each summer. It may be impractical, but I submit that the records we should be affording the greatest meaning in the public sphere are those where the most tickets are made available at the lowest price, not because people wouldn’t pay more, but because there’s a genuine commitment to keeping theatre affordable. Yes, producers should make money and yes Broadway is commercially based, but can’t the good of the field and the interests of the public be factored in? Perhaps, like golf scores, the lowest price (while sustaining great work) is the metric we might care about most and the one that should make the headlines.